While Rockwall is one of the fastest growing cities in the greater Dallas/Fort Worth area, it also has a rich history to be proud of. 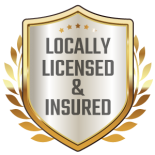 Whether your own a home or business with a hundred years of history or you’ve just moved to the area, Hometown Roofing is proud to offer you our services. 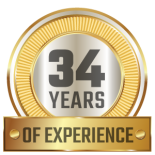 Having served the Greater Dallas/Fort Worth area since 2002, we’ve gathered a reputation for excellence and great service. Our family-owned-and-operated roofing company was built on the values of hard work and dedication — values we know Rockwall residents hold in high esteem. Roofing emergencies are something no homeowner ever wants to go through. Unfortunately, however, a lot of times these things are beyond our control. When nature gets the best of your home, you want a quality roofing company to turn to in your time of need. At Hometown Roofing, our team of experienced roofers can be available at a moment’s notice. We have the equipment and expertise to handle even the most difficult of jobs. As one of the premier roofing companies in all of Texas, we are thoroughly versed in all the best practices and have top-quality materials at the ready. At Hometown Roofing, we know emergency roof repairs and replacements go hand in hand with filing insurance claims. When you have dealt with severe property damage, it can be hard to sort through everything and ensure you get all the help you’re entitled to. Hometown Roofing can take one thing off your plate by filing your claim and helping you gather your documentation. We’ll make sure the entire insurance process goes as smoothly as possible and help you get the money the insurance company owes you. After all, you pay good money for your insurance policy. In turn, your policy should work for you during the time you need it most. We know Rockwall residents have quite a large pool of roofing companies to choose from. 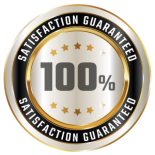 However, none of them have the same experience, accolades, and commitment to their customer as Hometown Roofing does. Whether you are experiencing a roofing emergency or are simply looking to upgrade the older roof on your home to increase your curb appeal, Hometown Roofing offers you the expertise and quality materials you need. Fill out our online contact form to get started with a free roofing inspection. We’ll be able to diagnose deeper issues that many other roofing companies miss and recommend the right solution. We look forward to serving our neighbors in Rockwall with the high-quality roofing services they can expect from the Hometown Roofing name.